Mobile communications is a continually growing sector in industry and a wide variety of visual services such as video-on-demand have been created which are limited by low-bandwidth network infrastructures. The distinction between mobile phones and personal device assistants (PDA’s) has already become blurred with pervasive computing being the term coined to describe the tendency to integrate computing and communication into everyday life. 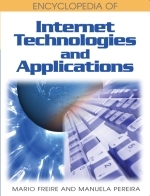 New technologies for connecting devices like wireless communication and high bandwidth networks make the network connections even more heterogeneous. Additionally, the network topology is no longer static, due to the increasing mobility of users. Ubiquitous computing is a term often associated with this type of networking. Streaming Video: A sequence of moving images that are transmitted in compressed form over the Internet and displayed by a viewer as they arrive; is usually sent from pre-recorded video files, but can be distributed as part of a live broadcast feed. Web Casting: The technique of broadcasting media over an intranet, extranet, or the Internet. Encoding: Encoding accomplishes two main objectives: (1) it reduces the size of video and audio files, by means of compression, making Internet delivery feasible, and (2) it saves files in a format that can be read and played back on the desktops of the targeted audience. Encoding may be handled by a software application or by specialised hardware with encoding software built in. Media: A term with many different meanings, in the context of streaming media, it refers to video, animation, and audio. The term “media” may also refer to something used for storage or transmission, such as tapes, diskettes, CD-ROMs, DVDs, or networks such as the Internet. Cellular Network: A cellular wireless network consists of fixed based stations connecting mobile devices through a wired backbone network where each mobile device establishes contact through their local base stations. The available bandwidth on a wireless link is limited and channels are more prone to errors. Multiple Bit Rate Video: The support of multiple encoded video streams within one media stream. By using multiple bit rate video in an encoder, you can create media-based content that has a variety of video streams at variable bandwidths ranging from, for example, 28.8 Kbps through 300 Kbps, as well as a separate audio stream. After receiving this multiple encoded stream, the server determines which bandwidth to stream based on the network bandwidth available. Multiple bit rate video is not supported on generic HTTP servers. Broadband: The telecommunication that provides multiple channels of data over a single communications medium. Content: Data that an encoder or server streams to a client or clients. Content can originate from live audio or live video presentation, stored audio or video files, still images, or slide shows. The content must be translated from its original state into a Windows Media format before a Windows Media server can stream it. Windows Media servers can stream live streams or stored Window Media files as content. Bandwidth: The amount of data that can be transferred from one point to another, usually between a Web server and a Web browser; It is a measure of the range of frequencies a transmitted signal occupies. In digital systems, bandwidth is the data speed in bits per second. In analog systems, bandwidth is measured in terms of the difference between the highest-frequency signal component and the lowest-frequency signal component. Third Generation Mobile Communications (3G): The third generation of mobile communications (3G) is digital mobile multimedia offering broadband mobile communications with voice, video, graphics, audio, and other forms of information.